For our birthdays we always get to choose what we want for dinner, and, most importantly, for dessert. It can be a nice dinner out followed by picking up a sweet treat on the way home. Or it can be a fancy dinner in with an old favorite stand by sweet treat. Or even take-out in our pajamas in front of the TV. It can be anything we want! For most people this would be a very good solution. However, for two very indecisive people it can actually sometimes be a bit of a struggle. It’s for that reason that I started in on Chris early. I think pretty much after my birthday was over mid-November I started asking him what he wanted for his February birthday. His first response for dessert was banana cream pie, probably because it sounded good at the time. But, I hung on to that one and he confirmed that was still his top choice last week when we were menu planning. Dinner was a bit harder. When the time to decide finally came (i.e. it was a week before his birthday rather than 3 months), he chose an old favorite that involves a tomato cream sauce (he’s a total sucker for the tomato cream sauces). 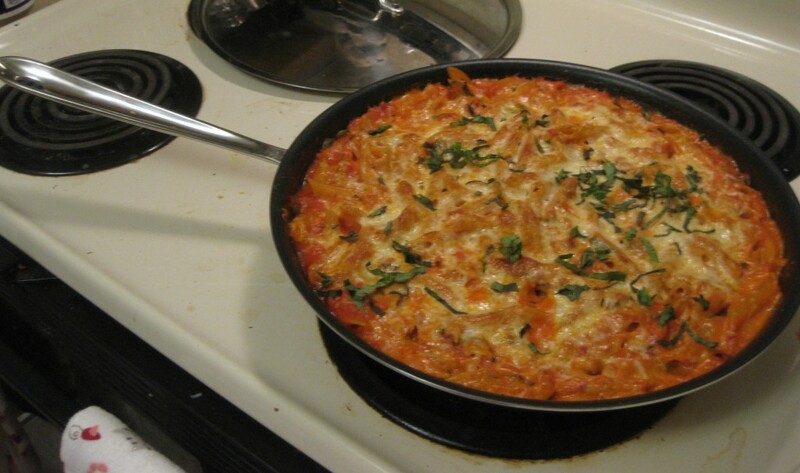 He chose our 30 minute skillet baked ziti (thanks Cooks Illustrated!). And a good choice that was, since we got our new skillet just in time to use that instead of baking it in a plain old square pan! 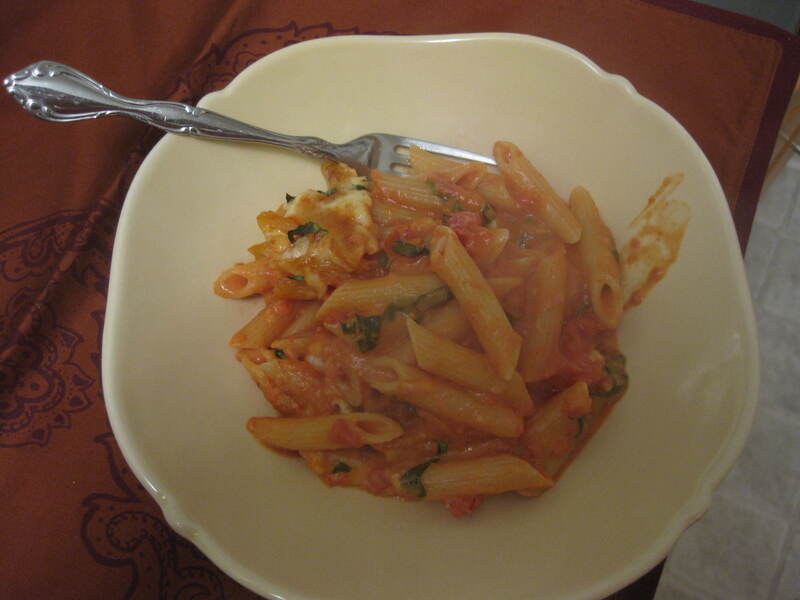 We splurged on the fresh basil and used our Romano (previously we had just used parmesan in the green can). The skillet was totally worth it because it made it really pretty. 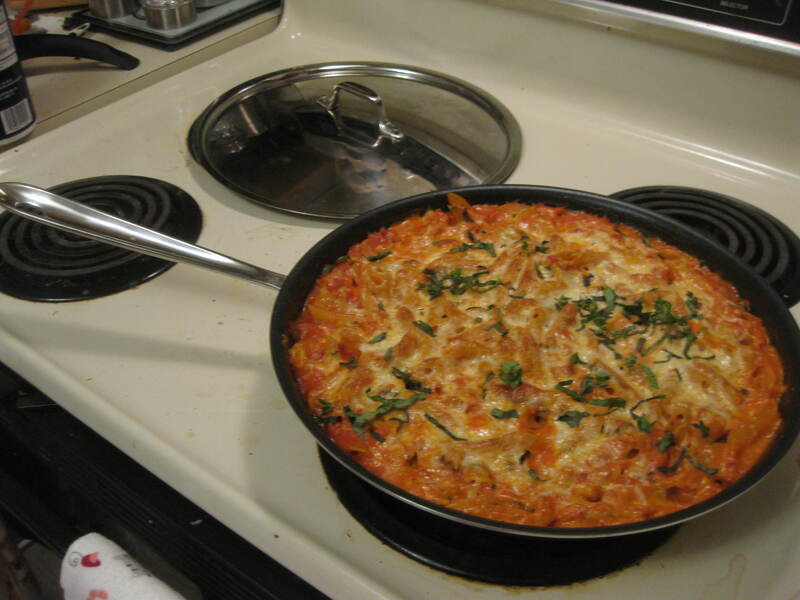 The ingredient splurges made all the difference, because it was really tasty. 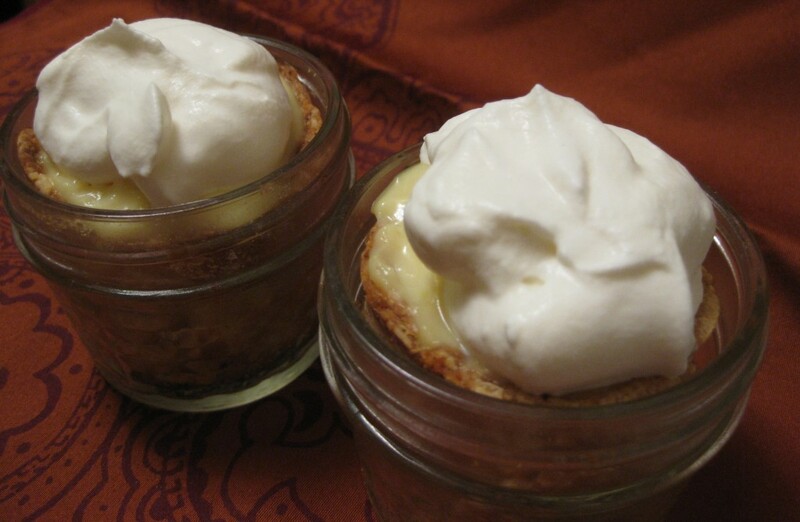 The banana cream pies were an interesting endeavor. I chose to adapt the Cook’s Illustrated recipe we’ve used before to make mini ones, similar to what’s seen here. We were traveling two days after his birthday and didn’t want to be forced to eat a whole pie in that time (hard life, I know). The verdict? However, probably not worth the extra work. I made a full recipe for a double crust pie, since we’re doing a skillet chicken pot pie next week and just stole some of that. That wasn’t the hard part. 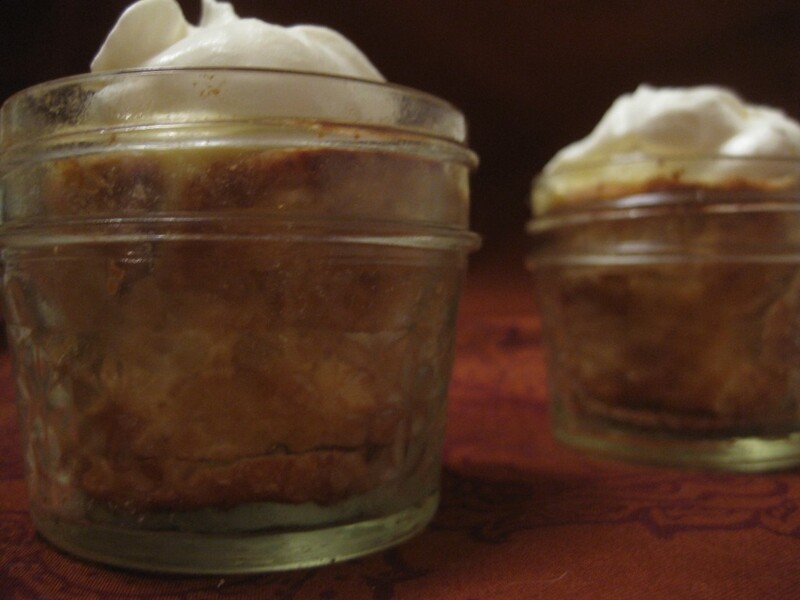 The hard part was getting the crust to not shrink so much in the mason jars. I tried the pie weights, but since the top is so narrow, they didn’t really hold it in place well enough while it was baking. And don’t even talk to me about getting the dough in the jars in the first place. I foolishly decided to roll them first, and well, it just didn’t work so well. Improvisation was key. Next was cutting down the proportions in the recipe, but not too much. 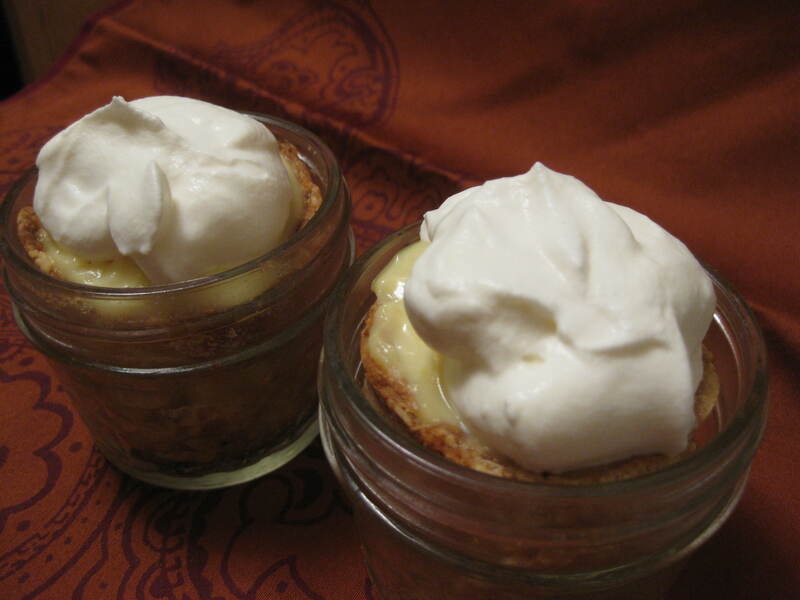 As in, it’s impossible to make a vanilla pudding with any less than one egg yolk. So, we quartered the recipe and still ended up with about 4 times what we actually needed for the filling. I didn’t have to get out my TI-83 Plus to figure out the proportions, but it was touch and go there for a minute. Chris minded this part less, because he got a pre-birthday dinner treat and had banana pudding as a snack (hard life, I know). 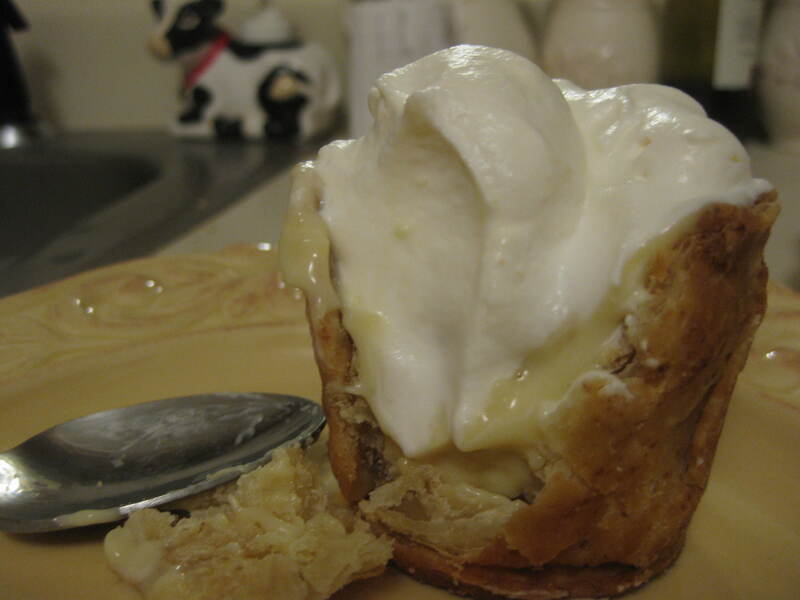 Finally, along the lines of the proportions mentioned above, is the whipped cream. What’s a banana cream pie with out, oh, the cream? But, the KitchenAid mixer was definitely too big, and we didn’t even need enough to be able to use the hand mixer. 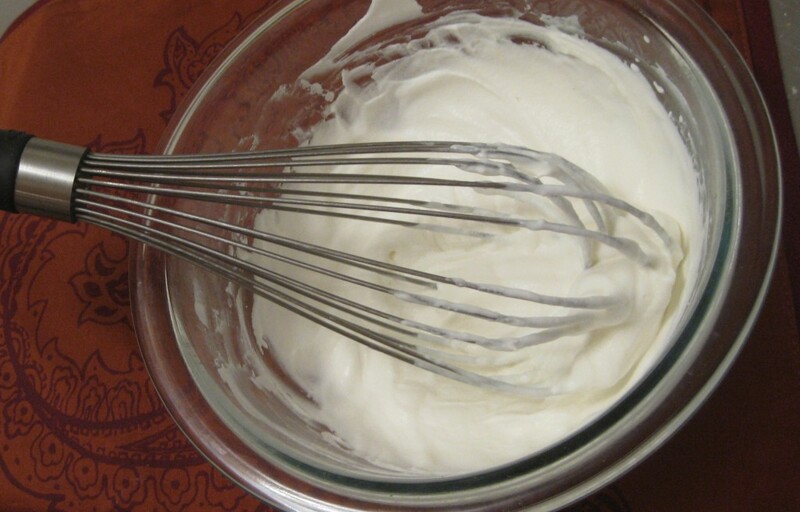 So, we whipped our cream by hand. And even then we whipped too much and had to eat the extra (I know, hard life again). But boy did we feel good (and sore) about what we had accomplished. So, would I make those again? Probably not. I think fruit pies are more suited to the mini version. But was it fun to try? Absolutely. And in the end? The Birthday Boy had a good time eating it. And when it’s your birthday, your wife has made you choose a favorite meal for the evening, and you had a long day at work? Well, enjoying it is all that matters. 1 Pings/Trackbacks for "What was for birthday dinner at the White house? (Chris’s 25th edition)"